Air Sniper conducts further third-party testing while operating within a licensed production facility. The room where the equipment was installed had previously tested positive for microbials. The results of the tests after the Air Sniper units were installed confirmed that the Air Sniper Ultra had successfully removed 100% of the microbials previously present in the room. For a full list of test results please contact us. 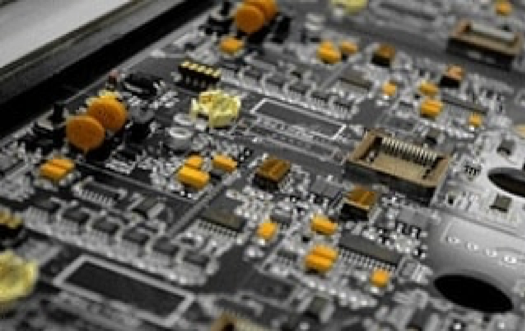 We understand the importance of installing equipment in your facility that is effective. Air Sniper units have been proven to be effective in all areas of a facility. Try one of our wall-hanging units in your drying or processing rooms and see the difference for yourself. We offer three different wall-hanging units to suit your rooms and ensure the air is properly cleaned. Air Sniper is currently developing and testing an airflow solution to assist in pushing air from underneath grow tables. This solution will help keep the air inside grow rooms cleaner and keep plants free of mold, mildew, and bacteria. We are committed to providing our customers with effective and innovative air sanitization solutions. Contact us to find out when you can install an airflow solution in your facility. Air Sniper units can be used throughout the facility not just in grow rooms. We know that your grow is important to you so why not clean the air it grows in? Airborne pathogens can contaminate your plants and result in a wasted crop. Some areas we recommend installations within the facility are: Grow rooms, HVAC systems, Drying rooms, Processing rooms, Hallways, and packaging areas. We work closely with the facility engineers and HVAC team to create a solution that is suitable for the needs and challenges of the space. Contact us today to receive a complimentary solution design for your grow. 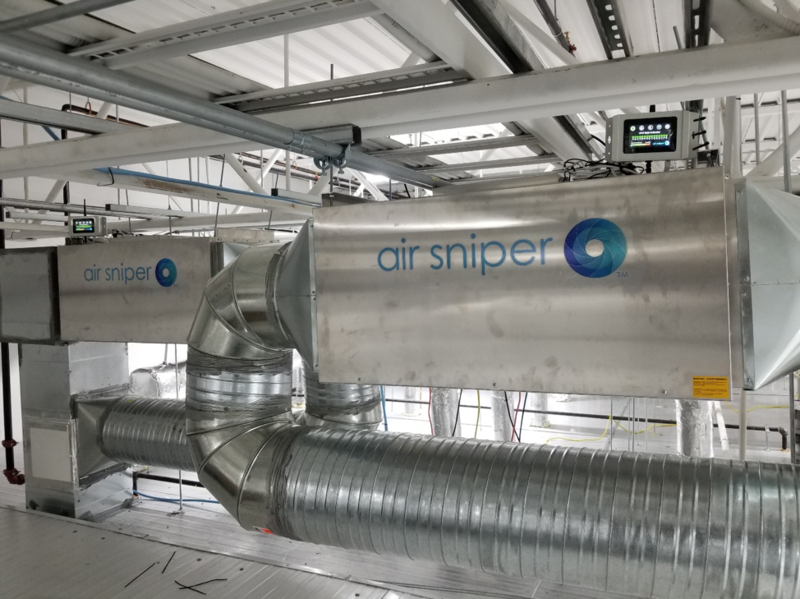 The benefits of installing Air Sniper units in your facility. Losing a crop to contaminants can negatively impact a facility’s finances and reputation. This can take months to recover from. 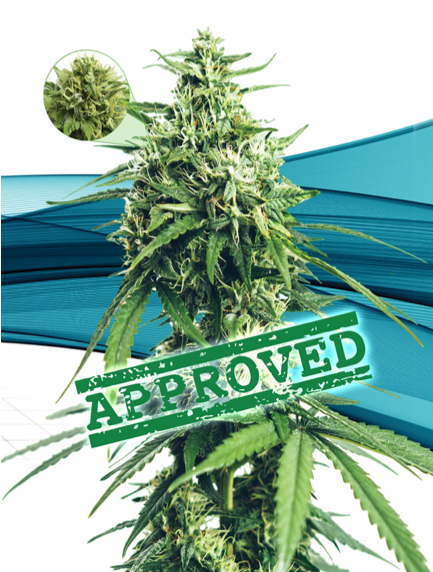 Air Sniper equipment offers a form of insurance for your grow. Our equipment provides ultimate protection against mold, bacteria, and powdery mildew 24/7 so growers can produce the best product possible. We have designed our products to be low maintenance and are built with durable materials that do not require replacement. Air Sniper equipment does not require additional electrical work making installations easy and cost efficient. All Air Sniper units have long service intervals that can be completed by members of the facility with no need to hire a company representative. 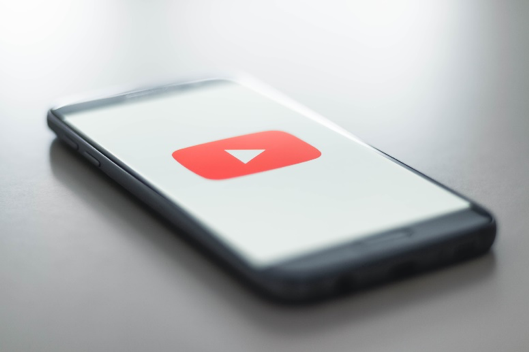 Visit Our YouTube channel for all your maintenance needs! Air Sniper has launched a YouTube Channel! On this channel viewers will find videos for each unit that explain how to conduct filter changes, bulb changes, cleaning and more! Learn how to us our Dashboard system, touchscreens, and see what our products can do. Follow our other social media pages for new product updates, special offers, and events Air Sniper will be attending! Ever wondered what makes Air Sniper different? One of the reasons our products are different from competitors is our design. When our product designer and founder was designing the Units, he used the Inverse Square Law. This law was used to ensure that the UV technology remains effective through the use of multiple bulbs and reflective panels to ensure maximum irradiation of all pathogens. Units not designing with the Inverse Square Law will be ineffective on passing air with very little irradiation effect to the pathogen. AIR Celebrates its 7th Birthday! We are celebrating a birthday this month! AIR has been in business for 7 years! We are very proud of the products and technology that has been developed and launched over the years. 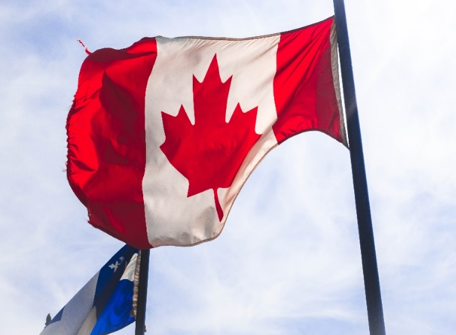 This year included many milestones for the brand and for Canada with the legalization of recreational cannabis. 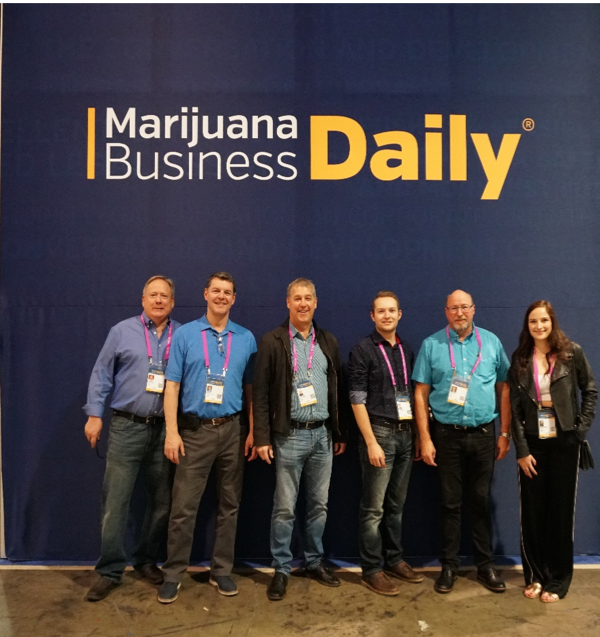 We look forward to celebrating many more years and helping more customers save their grow! We know that different cannabis facilities have different needs that’s why we created a solution for greenhouse facilities. The solution includes the same UV technology but is applied differently to suit the large amount of incoming air. Just one of the benefits of working with a company that manufactures and sells all their products! We are pleased to announce that AIR is searching for distributors and partners to help bring awareness to Air Sniper products and their benefits. We have developed specific incentives and pricing to ensure that both distributors and partners benefit from the association with our brand. We have limited the number of distributors and partners permitted in each location so reserve your spot while you can! 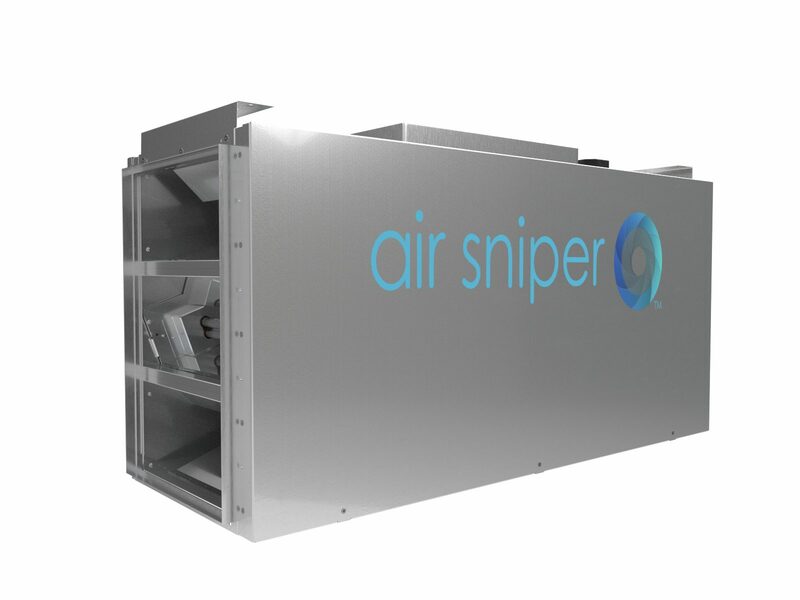 Air Sniper has installed multiple Air Sniper Inflow 20/20 and Ultra units throughout to remove powdery mildew, mold, and bacteria from the air within the facility. 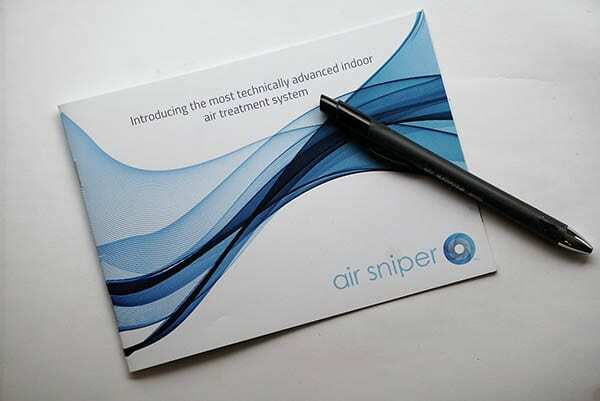 Air Sniper has been specified for the future expansions of this and other facilities. We are pleased to announce another new product the Air Sniper Inflow 20/20. The Inflow 20/20 uses the same technology as the Inflow 10/20 but is designed for facilities with larger air flow HVAC systems. 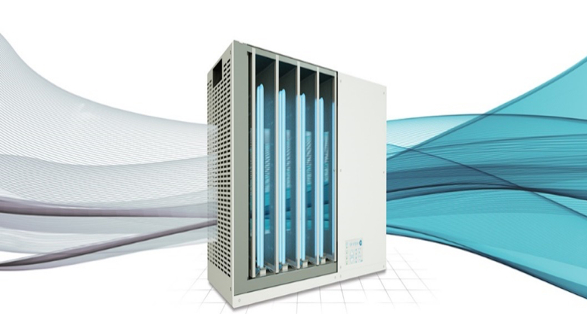 The variety of Inflow units ensures that all the air passes through the units but does not restrict the airflow. These units may be grouped together and controlled using the Dashboard system. 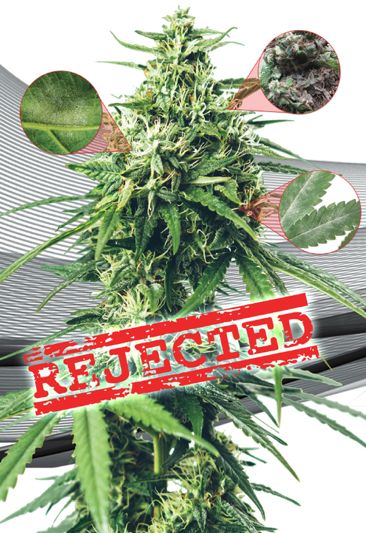 The Inflow units are unlike any other inline system on the market and specifically manufactured to save your grow! 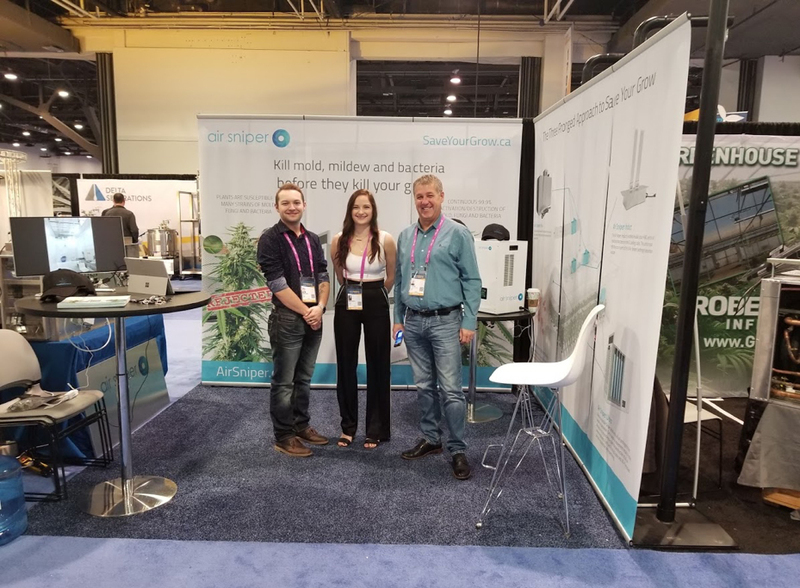 Air Sniper is excited to announce a successful trade show at MJBizCon in Las Vegas. At the show we launched two of our new products the Air Sniper Ultra and the Air Sniper Inflow 10/20. 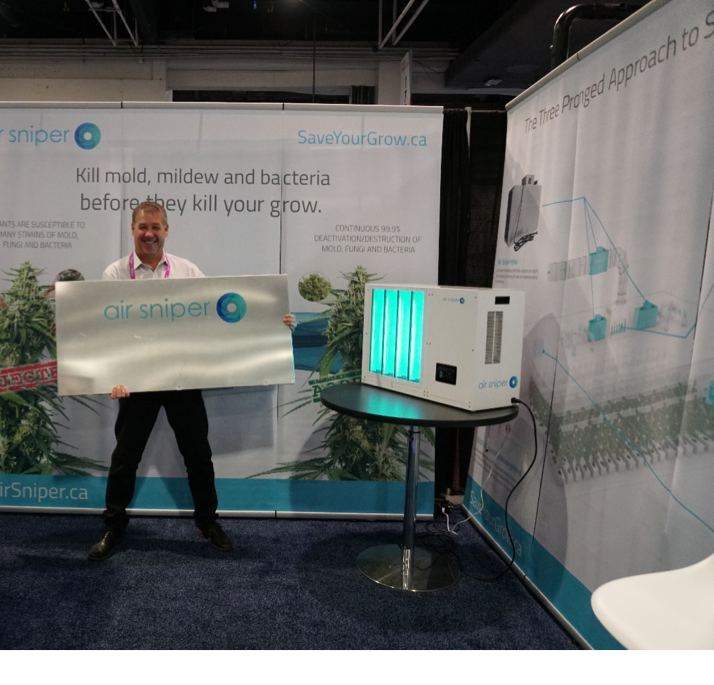 These products are specifically designed for cannabis facilities to remove any airborne pathogens. The launch of the new units also included our new integrated dashboard system. 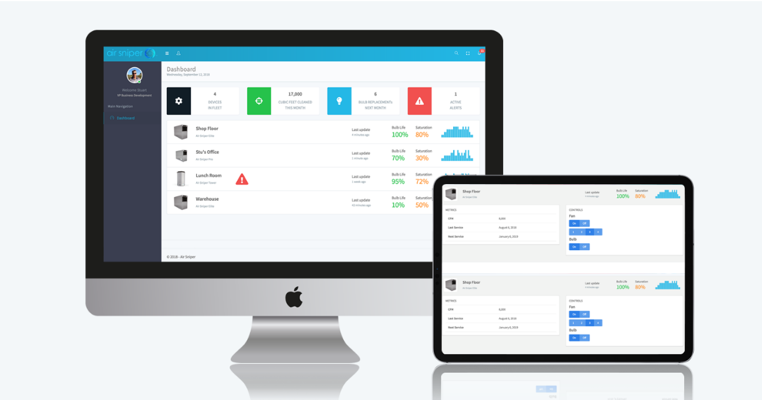 The dashboard allows facility managers to monitor and control their units from any phone or computer regardless of their location. We enjoyed meeting everyone at the show and look forward to the months following. We anticipate a busy 2019 for Air Sniper! AIR has designed custom software to monitor all AIR products in your facility. The software includes features such as the ability to group units together, know how many cubic feet per month have been cleaned, monitor bulb life and know when the pre-filter needs to be changed, and when it is time to service each unit. The touchscreen allows for straightforward access when performing maintenance and allows uncomplicated manual monitoring. The software is customizable to your needs and units. For further information do not hesitate to contact one of the AIR representatives. 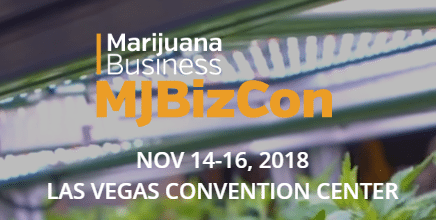 AIR will be part of the MJBizCon expo in Las Vegas Nevada from November 14 to 16, 2018. AIR will have a booth featuring new products designed with cannabis in mind. Come visit us at the expo to discuss our products with AIR professionals and learn about how AIR can benefit your grow. AIR is excited to introduce another new product! We have been working diligently to design another new AIR product, the Ultra. 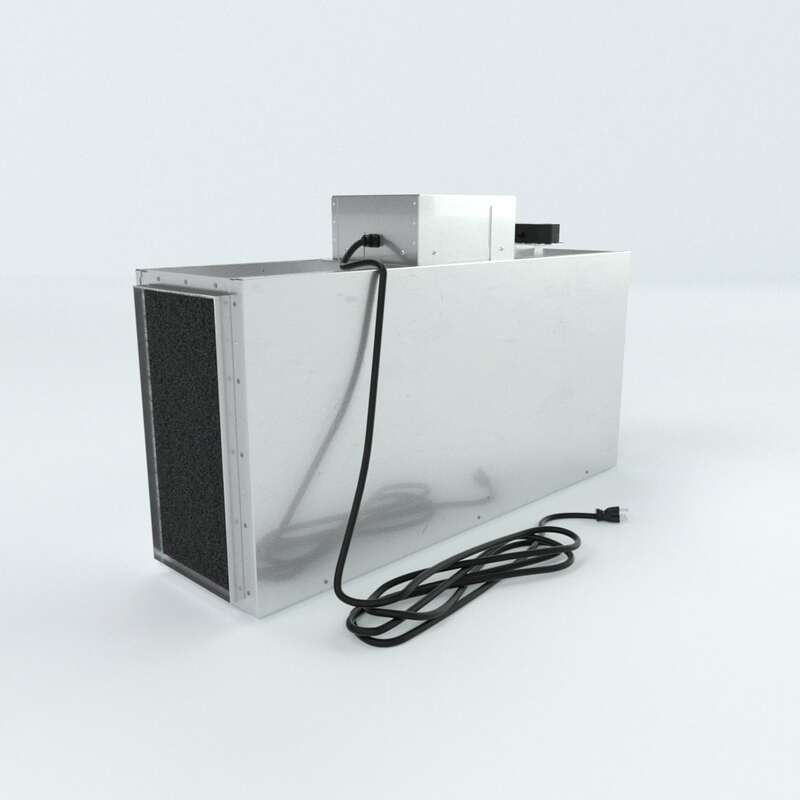 The Ultra can be used on its own, or alongside the Inflow to remove volatile organic compounds from the air that may be damaging to your grow. The Ultra includes features such as automatic lamp and filter detection, Wi-Fi enabled remote monitoring, a touch screen for maintenance, and manual monitoring. Contact one of our sales representatives to purchase an Ultra for your grow. 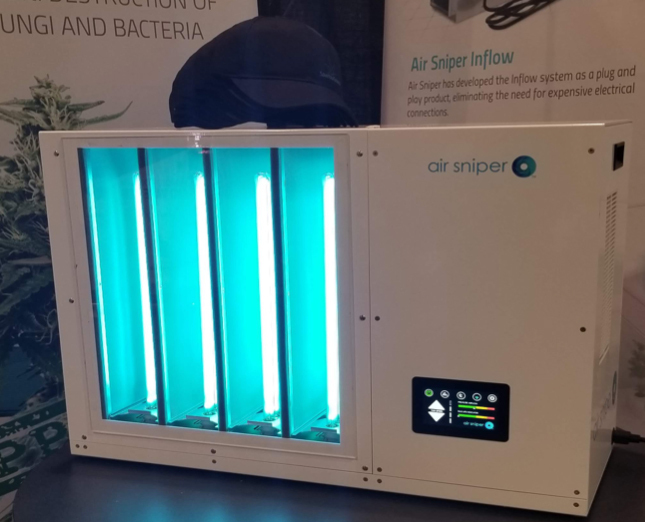 AIR has designed and built a new product that is valuable to cannabis growers. The Inflow unit fits in the bulkhead of the HVAC system to destroy 99% of pathogens in the air that could be harmful to your grow. The Inflow includes features such as a touchscreen control panel, 30 ultra high intensity UVC lamps (540 watts), and Wi-Fi enabled remote monitoring. Contact one of our sales representatives install an Inflow in your grow. AIR will be part of the education station at the Weedstock Toronto expo October 26th, 2018. The education station will have a booth at the expo and showcase some of the features and benefits of AIR products. Look for us at Weedstock and remember to save your grow! 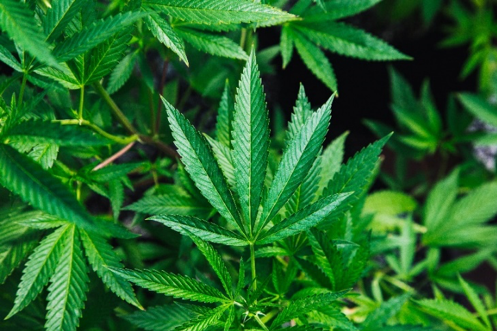 With the legalization of cannabis approaching on October 17, 2018 we have partnered with Marijuana Business Magazine to highlight the importance of saving your grow! 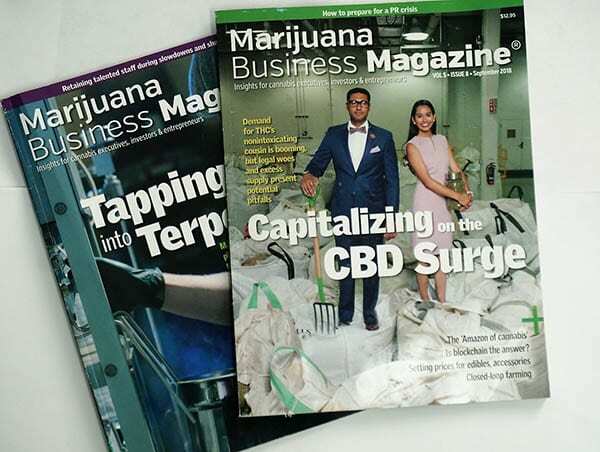 You can find us in six editions of Marijuana Business Magazine starting in August. AIR is pleased to announce an expansion of our manufacturing facilities to include metal fabrication. The expansion provides the facility with a total of 66,000- sq. ft of manufacturing space. 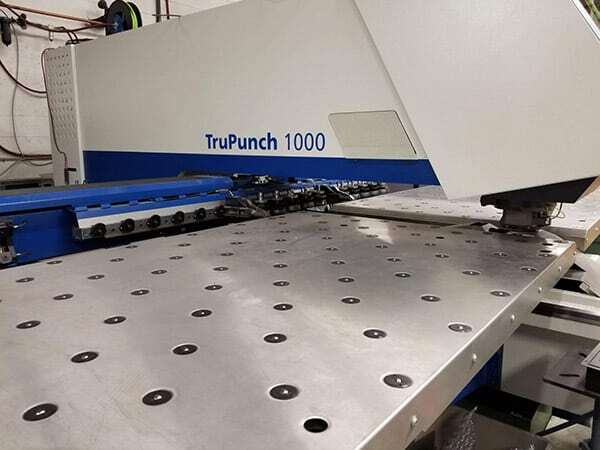 Expanding the facilities and services allows AIR to further customize products for our customers and ensure that they are of the highest quality possible. AIR has been working tirelessly to develop the newest member of the AIR Sniper family, the “In Wall Unit”. 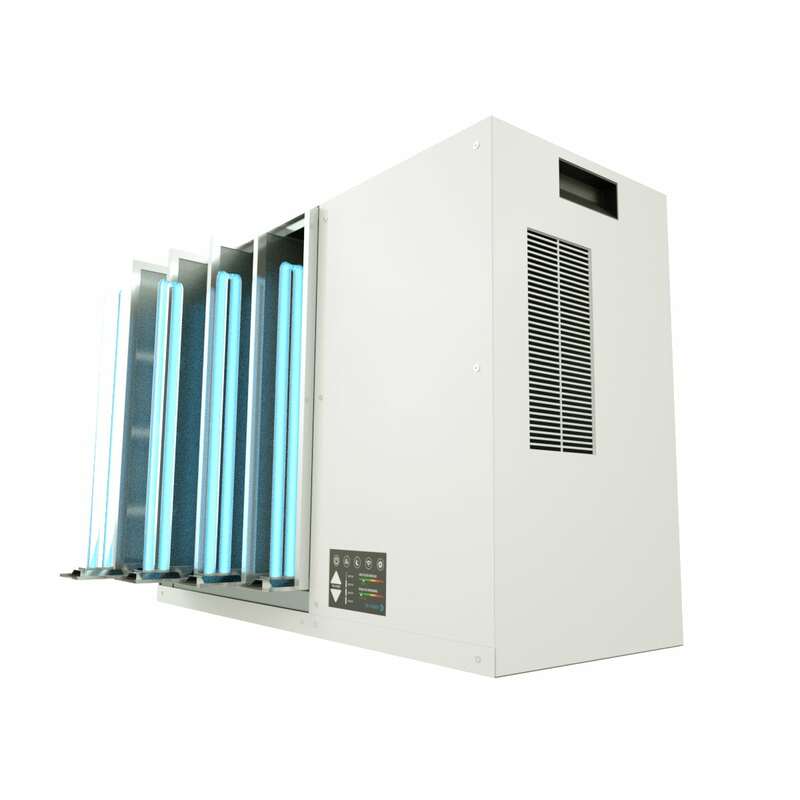 With two of our 36 watt UV-C germicidal lamps inside a narrow stainless steel housing, this unit is built to fit right into the framing of your building or home, allowing you to have the cleanest air possible without having to sacrifice your space. The “In Wall Unit” will be perfect for companies or people that utilize a modular living or work space. Stay tuned for more details on the launch of the newest AIR Sniper. Alpine Innovative Research is excited to introduce the newest addition to the Air Sniper line, “The Cube.” A smaller personal unit perfect for an office or bedroom. 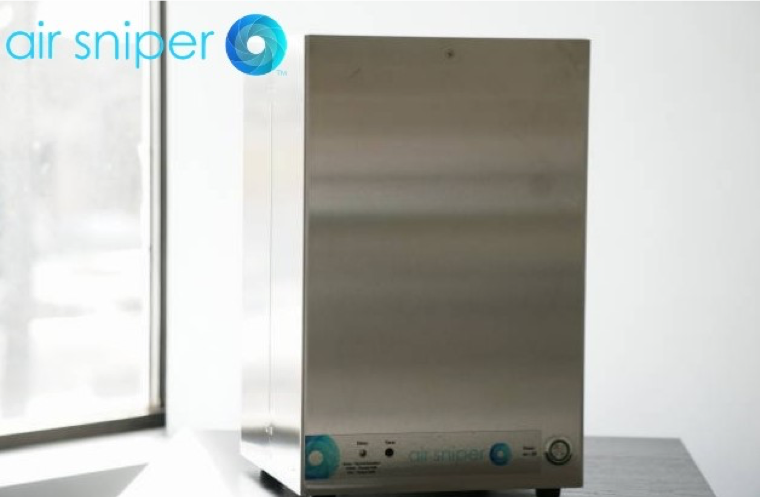 With all the same advanced technology that makes the larger models of the Air Sniper as efficient as they are, The Cube will protect you and the rest of your family from harmful air borne pathogens immediately, keeping those most important to you happy and healthy.